The video that made me fall in love. Every time i watch this video, pink bubbles blowing up inside me. Like i'm a glass filled with pink soda. 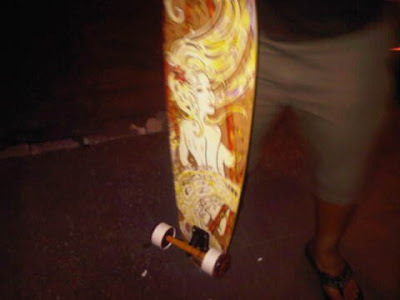 This was the reason i google-d up longboarding and without a second thought, ordered a complete board from a friend vacationing in Bali, back in January. Maybe one day i'll have a video of my own. Currently, i'm still a noob. Heh. It was through Wanzo's tweet that i found the video from.